Home News MisinfoCon is back — and this time, we’re off to Kyiv! 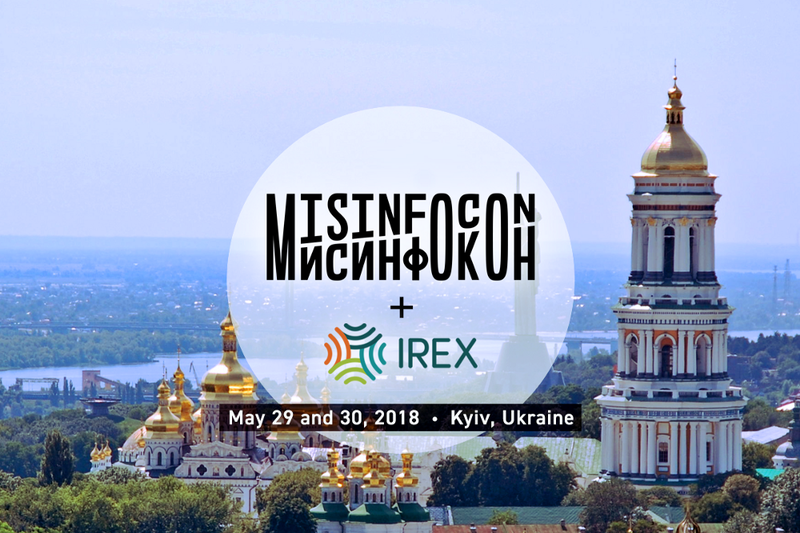 MisinfoCon is back — and this time, we’re off to Kyiv! Building on the strength and momentum of our first two MisinfoCons at MIT in Boston and at the Mozilla Festival in London, we’re thrilled to announce that MisinfoCon 3.0 will be occurring on Tuesday, May 29 and Wednesday, May 30 in Kyiv, Ukraine. We hope you can join us here on the frontlines of the misinformation fight, so please save the date! Brought to you again by the Hacks/Hackers Foundation, this event will be produced in concert with the great folks at IREX. Featuring a consortium of powerful players in international policy, technology and media literacy, the gathering will help take important strides in both exploring the global implications of misinformation as well as identifying methods of fighting it. This convening will be unique in that we’ll first be featuring luminaries from the space presenting their work while later facilitating a “hackathon”-like component — think of it as an amalgam of the best parts of MIT and London. In addition, we will have a keen focus on the challenges of misinformation and fake news in Eastern Europe, an area rife with these issues.